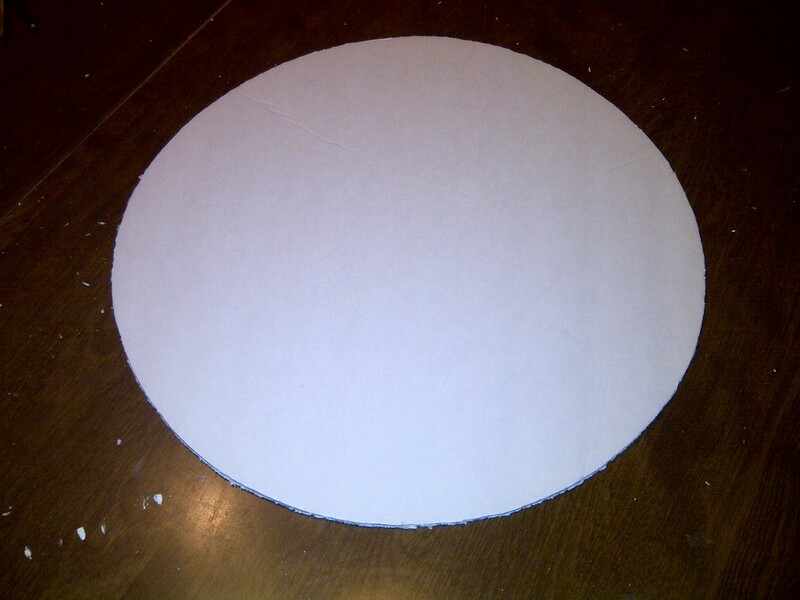 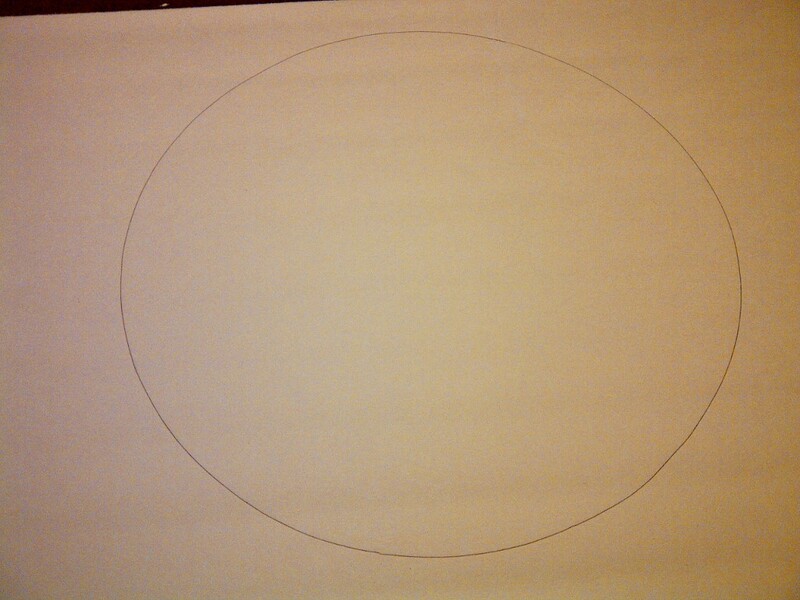 I cut a 15″ circle out of the foam board. 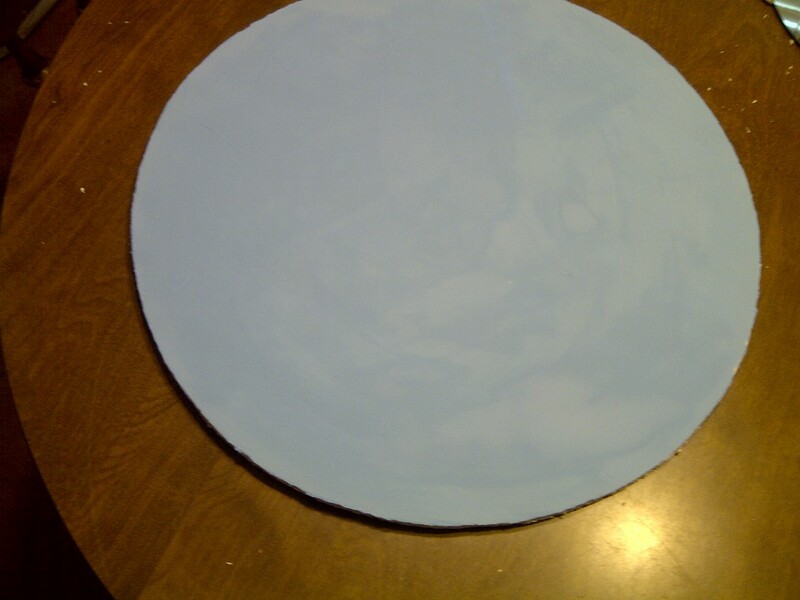 I painted the circle with light blue acrylic paint. 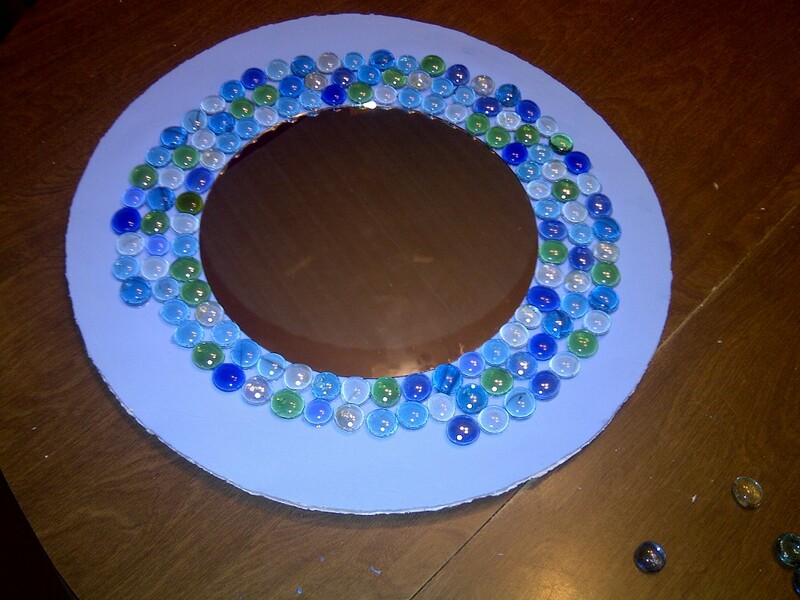 I glued the mirror onto the center of the circle. 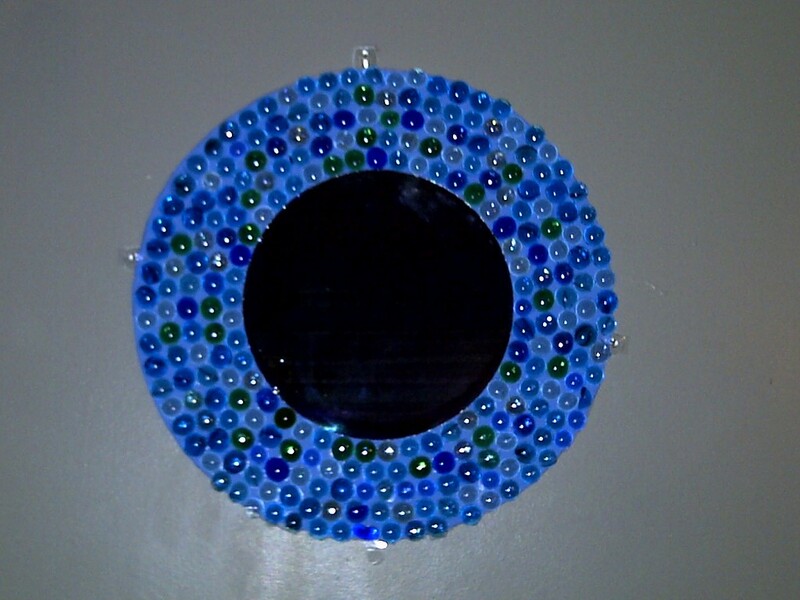 Then I glued the glass gems around the mirror. 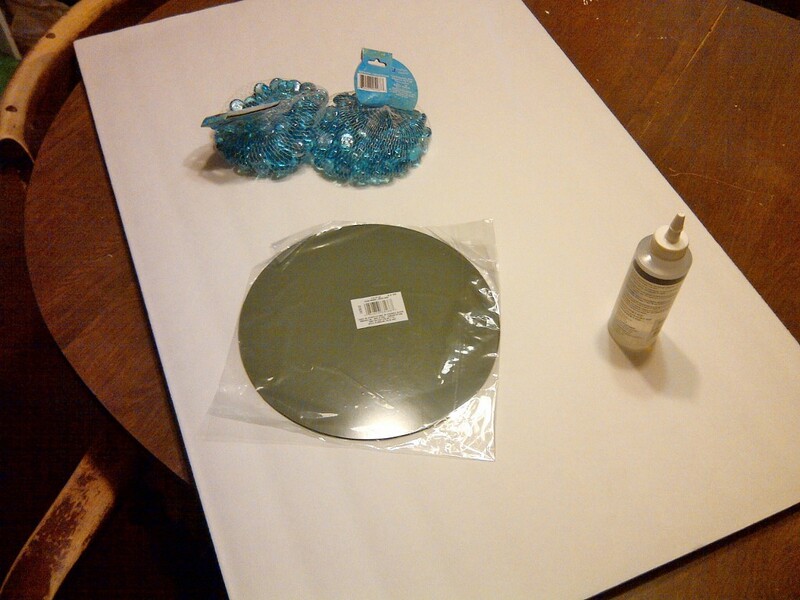 I let the mirror dry overnight so that none of the items would fall off. 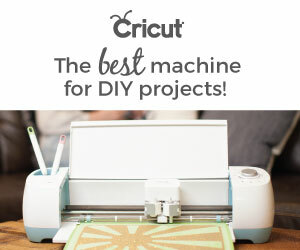 Pretty, I love the color!